You need to consider if graphite or steel shafts are the best for your needs. There isn’t any answer that is clear cut since both of them have some disadvantages as well as advantages. However, most often the fairway and driver woods have graphite shafts, but the biggest issue is what you will use on your irons. Both of these options have some great benefits, so let’s learn some more about them and the benefits and disadvantages. The best golf shafts all have some benefits and disadvantages and the huge benefit of using a steel shaft is that it sends more vibrations to the golfer through the arm. The skilled players like this since they can usually tell what they have done right or wrong by the feelings. This is also a much heavier option, which makes it a good option for those with a swing of high speed since it has a better level of control. However, the disadvantage of this type is that the hands can be left with a stinging sensation due to the vibrations. Also, due to the heavier weight the speed of the swing can be significantly reduced. 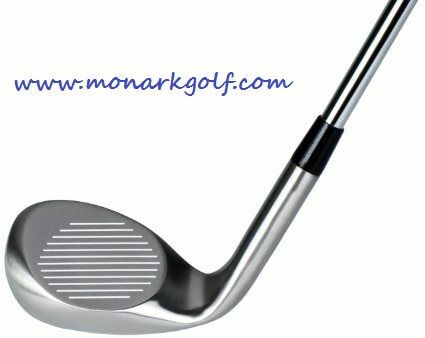 Monark Golf has all of the answers to your club needs, regardless of what type of shaft you choose. The graphite based golf club shafts are typically lighter than their steel counterparts, which can increase the speed of your swing as well as the distance. This is good for those golfers who have a slow swing or who need a bit of extra distance since it can add at least 5 yards. It is also good for those who have shoulder, arm or hand problems since it has less vibrations. However, these also have a less rigid stance, which means they have more flexibility and whip, but it can severely hamper poor swings and it can affect your accuracy. If you are looking for some of the best graphite options, then check out the selection by Monark Golf. Monark Golf has some of the best Aldila golf shafts that you can pick for your clubs. You should make sure that you determine which option works the best for you and then you can order them online easily. Let Monark Golf help you create your dream bag of clubs without any extra fuss or cost after you have chosen the items that you want to have.